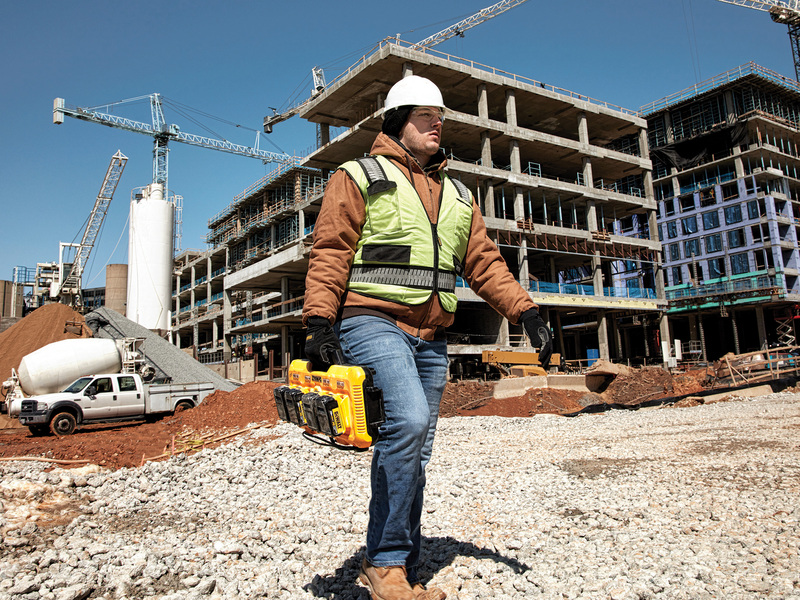 TOWSON, MD (April 24, 2018) – DEWALT® announces the continued expansion of the FLEXVOLT® System with the dual-voltage 20V/60V MAX* FLEXVOLT® 12.0Ah Battery (DCB612). 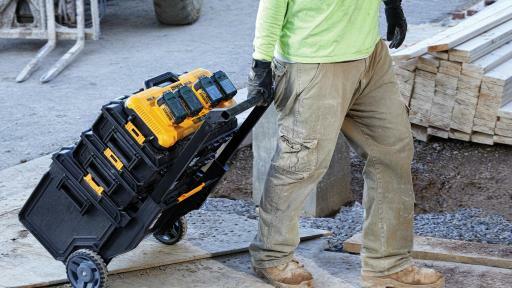 In addition, DEWALT announces the new 4-Port Fast Charger (DCB104) which simultaneously charges four FLEXVOLT® 12.0Ah Batteries (sold separately) in 120 minutes. 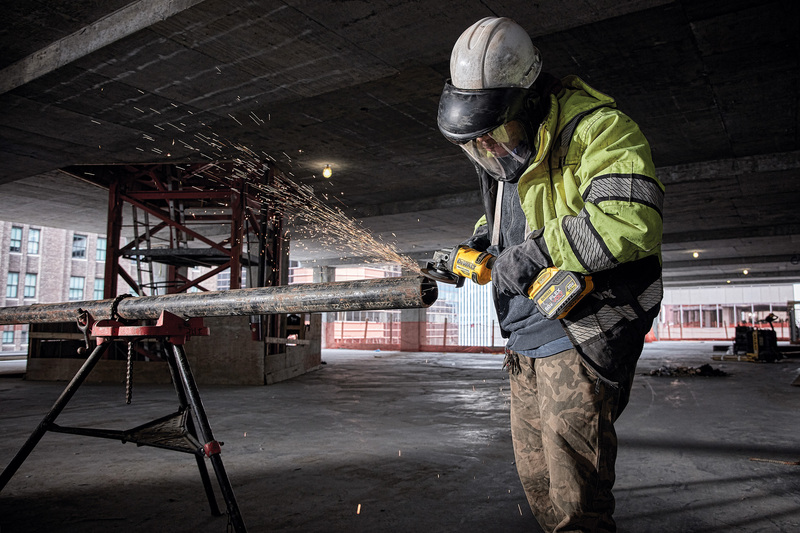 By combining long runtime with fast charge time, DEWALT reduces downtime on the jobsite. 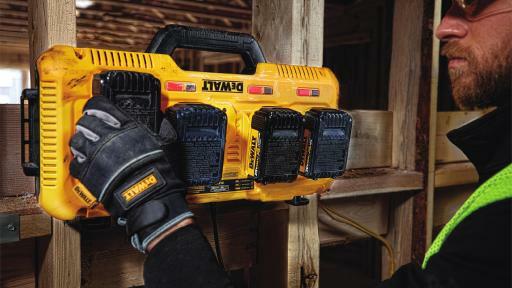 The 20V/60V MAX* FLEXVOLT® 12.0Ah Battery (DCB612) is optimized for use in new and existing DEWALT tools designed for high-power applications. These tools include the new 2,100 Max Watts Out (MWO) 9 in. 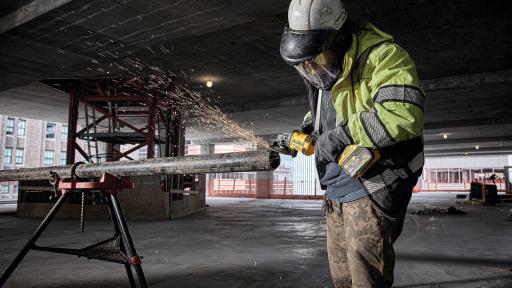 60V MAX* Cut-Off Saw (DCS690) as well as the existing 2,400 MWO 60V MAX* 7-1/4 in. Worm Drive Style Saw (DCS577), the 1,700 MWO 60V MAX* 4.5 in. to 6 in. 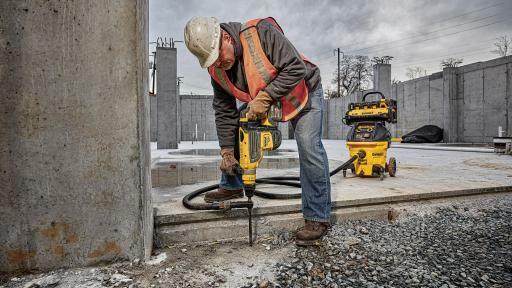 Grinder (DCG414), and the 2,100 MWO 120V MAX* 12 in. Double Bevel Compound Sliding Miter Saw (DHS790). 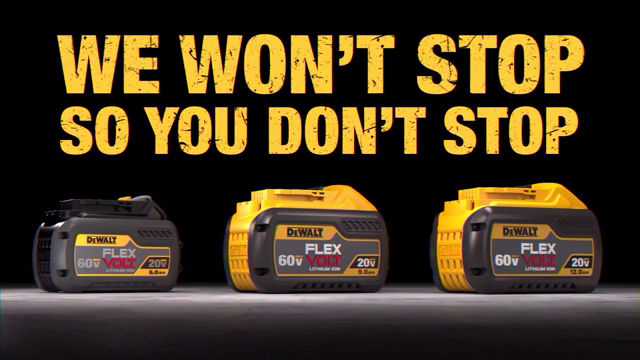 DEWALT FLEXVOLT® batteries are also backwards compatible with most DEWALT 20V MAX* tools. 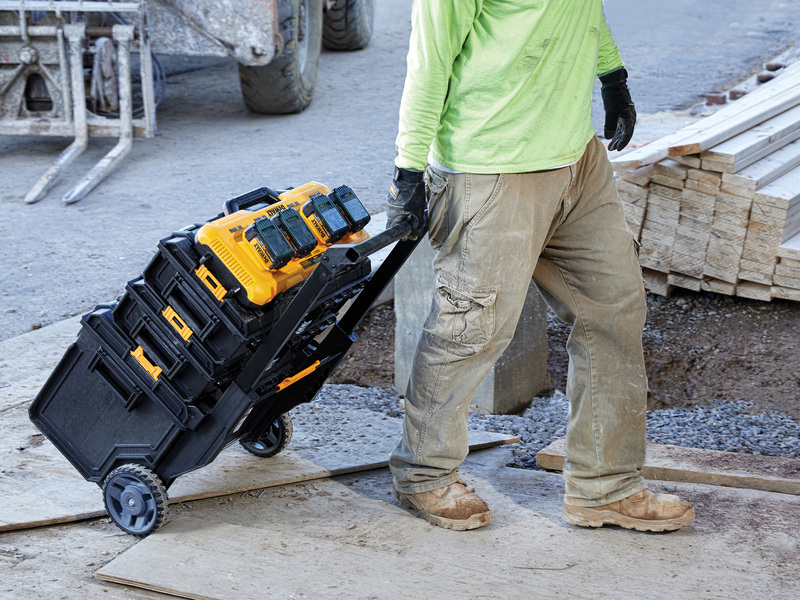 The 4-Port Fast Charger (DCB104) not only charges the new 20V/60V MAX* FLEXVOLT® 12.0Ah Battery (DCB612), but it also offers multi-platform versatility for use with 12V MAX* and 20V MAX* DEWALT batteries. The Fast Charger is compatible with the ToughSystem® storage system allowing for convenient transport and storage. Including through-hole wall mounts, a cord wrap, and transport handles, the Fast Charger can be conveniently carried from truck to tool crib. In addition, the 4-Port Fast Charger is Tool Connect™ Tag Ready™, providing a flat surface where the Tag (sold separately) can be attached. Tool Connect™ is a 3-part inventory management solution that encompasses the Tool Connect™ Inventory Manager web portal, the Tool Connect™ mobile app, and connected products. From 1.5Ah to 3.0Ah compact batteries, 4.0Ah to 6.0Ah XR® batteries, and 6.0Ah to 12.0Ah FLEXVOLT® batteries, DEWALT offers the right combination of ergonomics and runtime for just about any application, while innovative charging solutions keep batteries ready for use. 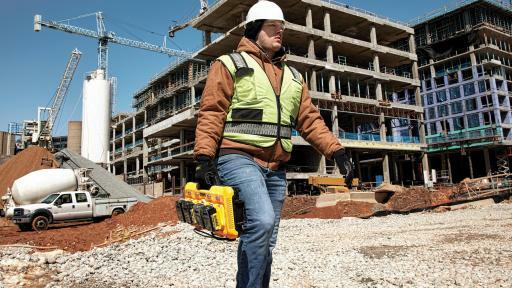 Coming in summer 2018, the 20V/60V MAX* FLEXVOLT® 12.0Ah Battery (DCB612) will be available where DEWALT products are sold for $249 MSRP and will come standard with a three-year limited warranty, three-year free service contract and 90-day money-back guarantee. 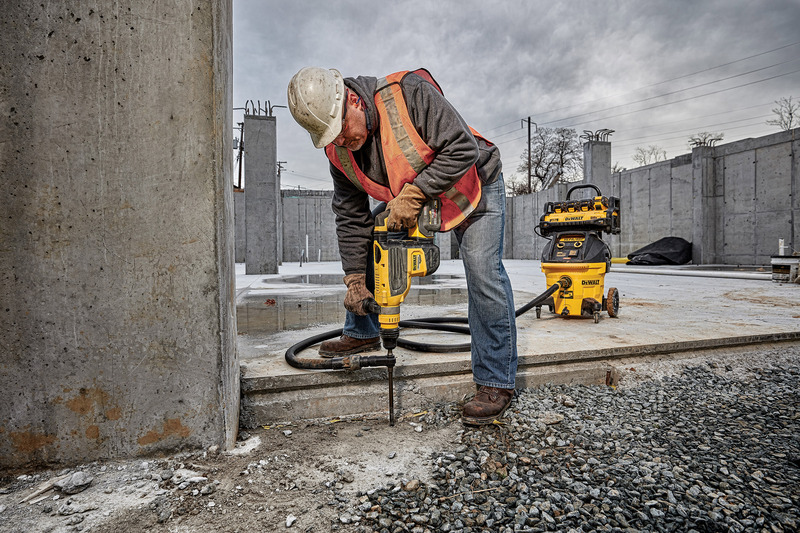 The 4-Port Fast Charger (DCB104) will be available where DEWALT products are sold for $199 MSRP and will come standard with a three-year limited warranty, one-year free service contract and 90-day money-back guarantee. With respect to 12V MAX* - Maximum initial battery voltage (measured without a workload) is 12 volts. Nominal voltage is 10.6. With respect to 20V MAX* - Maximum initial battery voltage (measured without a workload) is 20 volts. Nominal voltage is 18. With respect to 60V MAX* - Maximum initial battery voltage (measured without a workload) is 60 volts. Nominal voltage is 54. 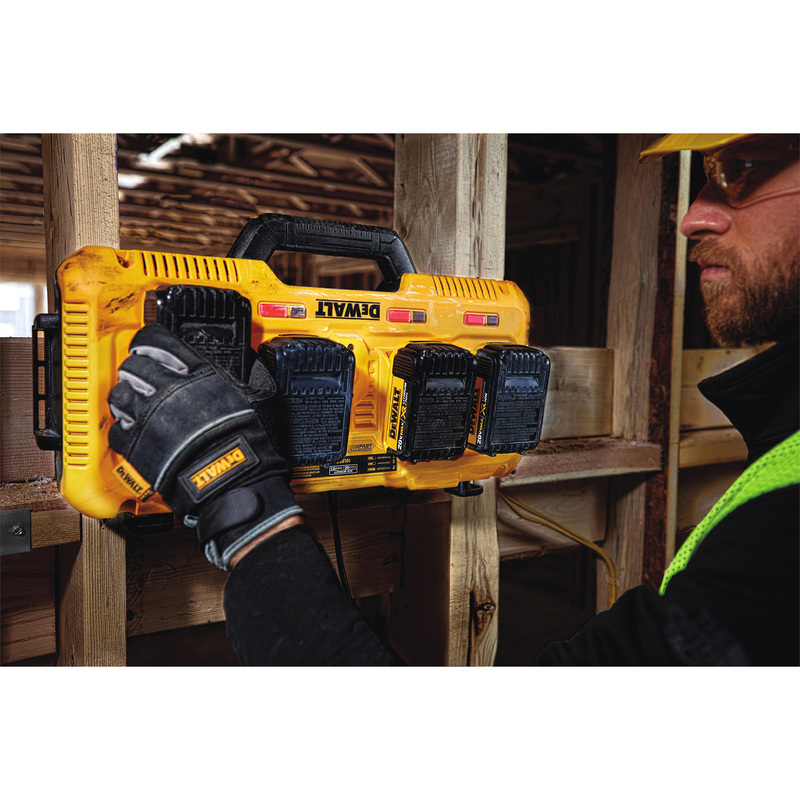 With respect to 120V MAX* - Based on using 2 DEWALT 60V MAX* li-ion batteries, combined having a maximum initial battery voltage (measured without a workload) of 120 volts and a nominal voltage of 108.